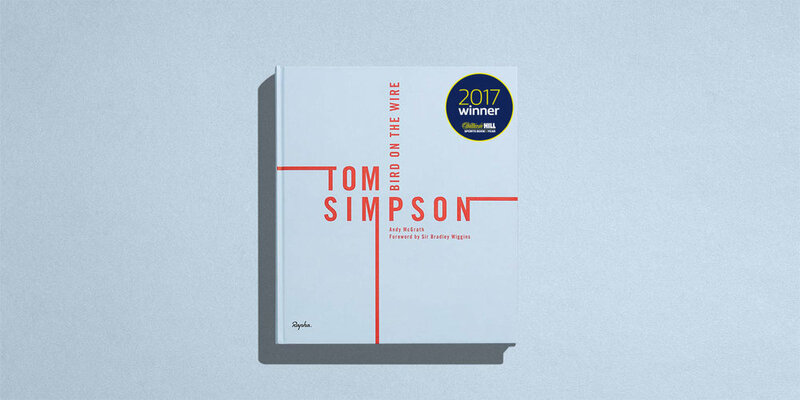 Tom Simpson: Bird on the Wire, by Andy McGrath published by Rapha Editions and produced in collaboration with Bluetrain, has won the 2017 William Hill Sports Book of the Year award. The book’s author Andy McGrath was presented with the award during a ceremony at Bafta in Picadilly, London, today (Tuesday, 28th N0vember). The story of Tom Simpson has gone down in cycling folklore. A beloved yet awed hero, whose death on Mont Ventoux during the 1967 Tour de France has become part of the history of cycling. For all the wrong reasons. With Bird on the Wire, author Andy McGrath endeavours to set the record straight on Tom Simpson and tell the whole story, of an endearing sportsman who achieved incredible feats during his cycling career. “Simpson’s death, with drugs found in his system, is inextricably, yet excessively, linked to him. whose dark connotations have grown over the rest of his life’s story like ivy over a beautiful building,” said McGrath. The biography has received glowing reviews. The beautiful 200-page edition is fully illustrated throughout with photographs of the cyclist, many published for the first time.